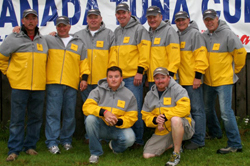 Be a Part of Team Mass Bay Guides. 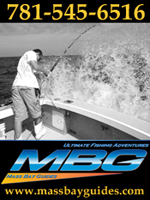 Advertising on, or Sponsoring Mass Bay Guides is easy. You just need to be an honest reputable business who works hard to create a product or service in the fishing industry. We enjoy testing equipment and evaluating services of companies who would like us to endorse thier products and service. When we like what we see we plaster your Logo's on our boats and in our pictures. We will even use your products in our videos and demonstrations. When you help us out we return the favor. Feel free to contact any one of these companies and they will tell you how we have helped promote their business. You can see how we place their links on every page and have banners and advertisement all over our website. 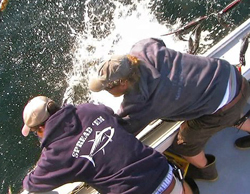 We offer our own video editing services to create promotional videos of us fishing or using your products. We also invite you to come fishing on our boats to video yourselves with your products or to create any fishing shows you may sponsor already. We have even created full DVD videos for promotions featuring products from our sponsors. see an example on our movies page. 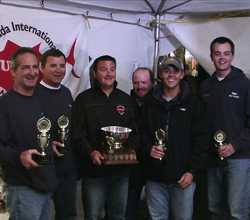 We also like to trade services for Charter Companies in other parts of the world we like to travel for fishing and have sent many of our customers to companies that we charter during the off season. Give us a call at 781-545-6516 anytime 24/7 we can explain what some of the other companies do to help us out in return for our endorsement and feedback. Email fishing@massbayguides.com .